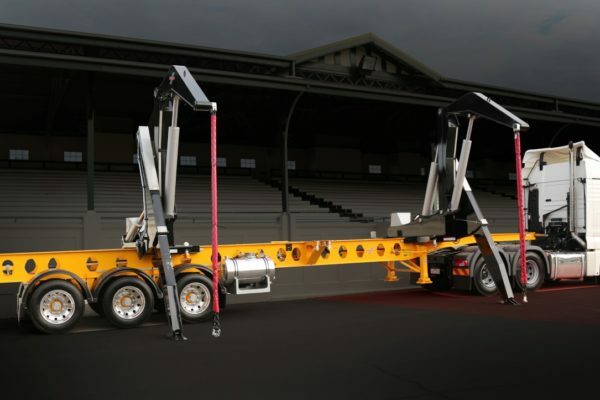 The original and proven Swinglift® model with the unique “Leg-Over®” design for exceptional stability and wide outreach has an “inline” configuration for the lift modules i.e. 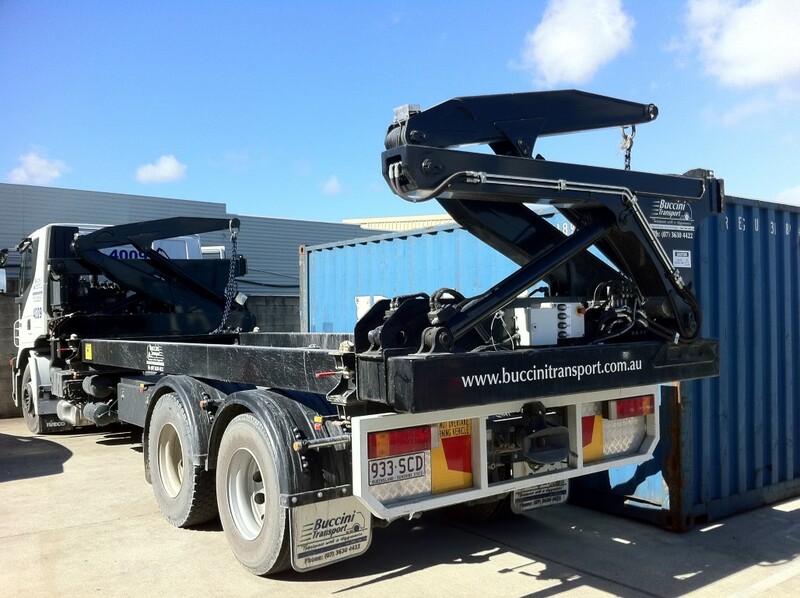 the lifting jibs and the stabiliser leg are aligned. 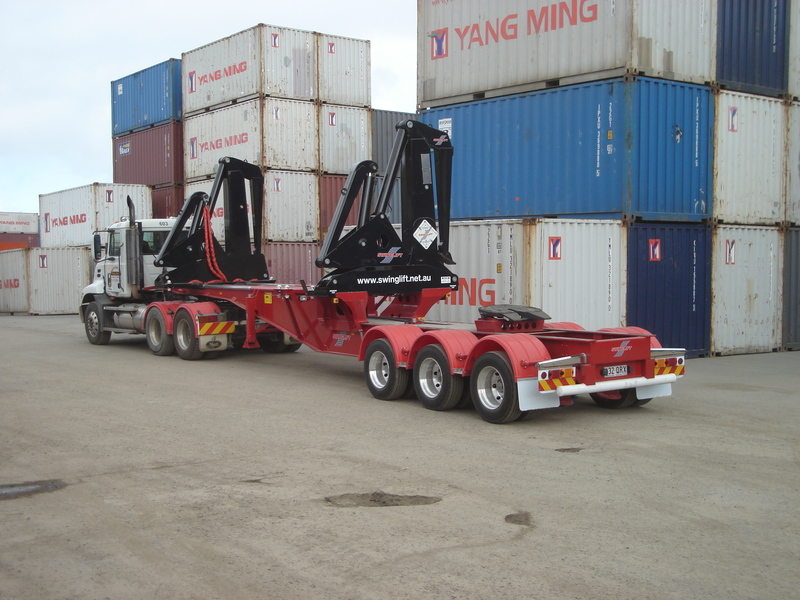 The lowest tare weight side loader available in the market gives great payload. 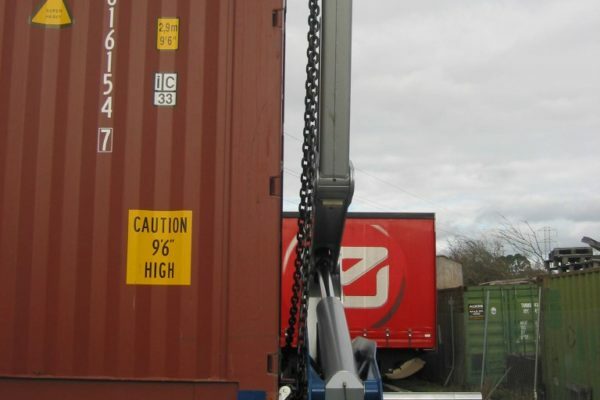 The HC4020-35 Tonne is the original Swinglift for lifting 20’ and 40’ containers. 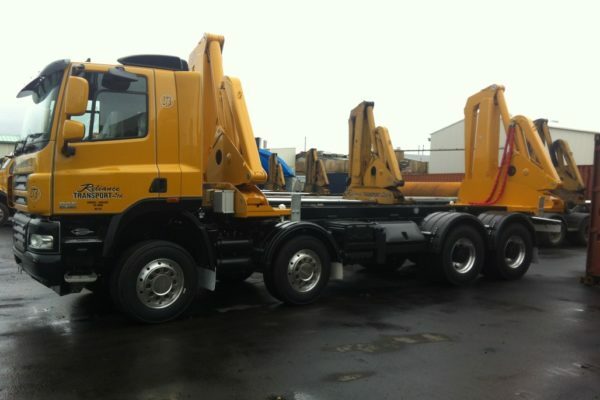 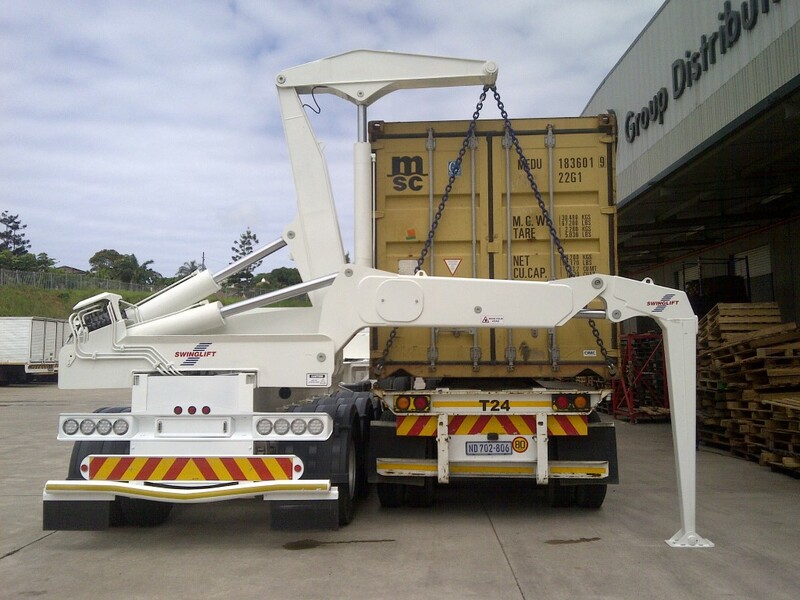 Also available is the HC4020-40 Tonne model for lifting up to 40 Tonnes. 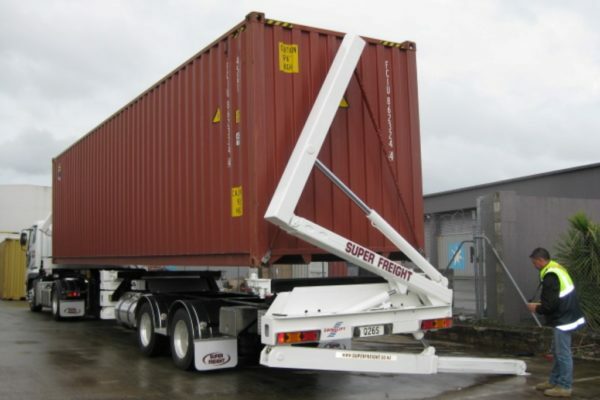 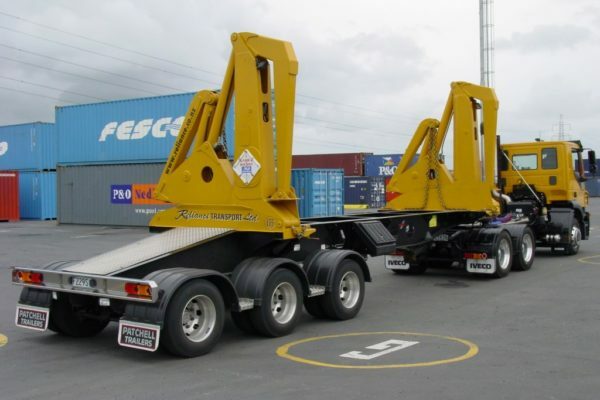 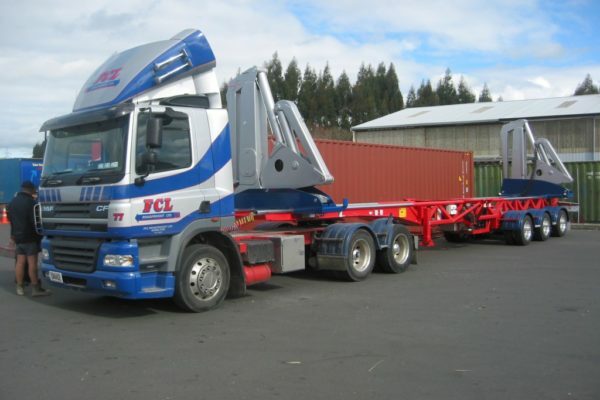 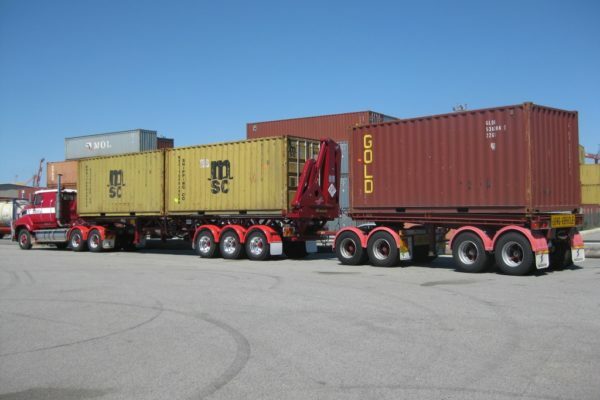 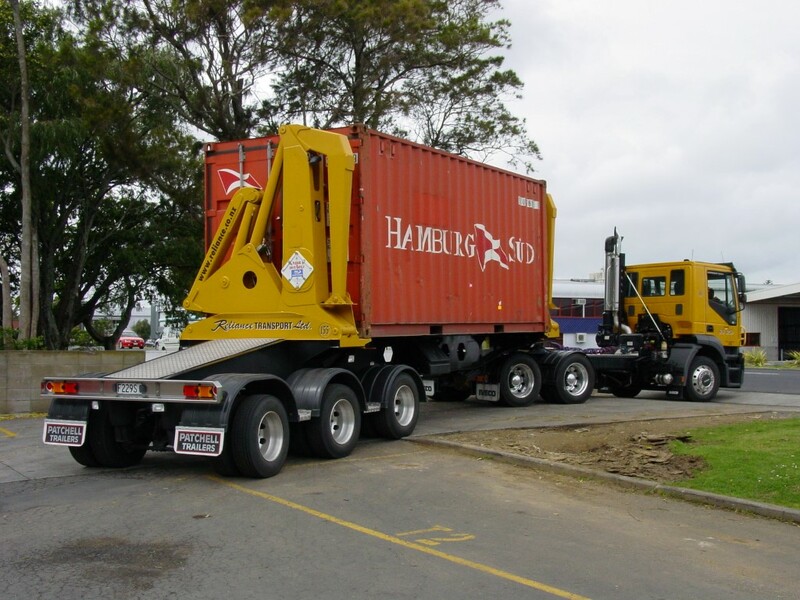 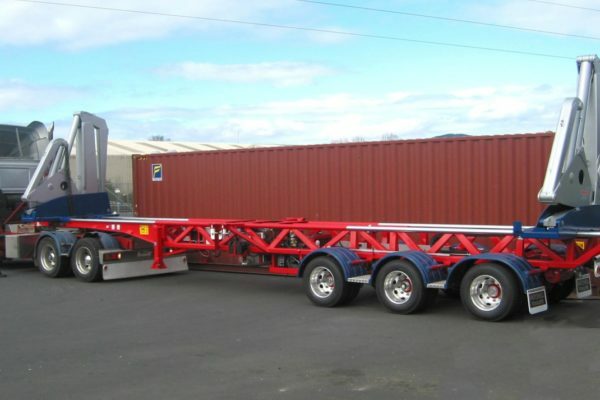 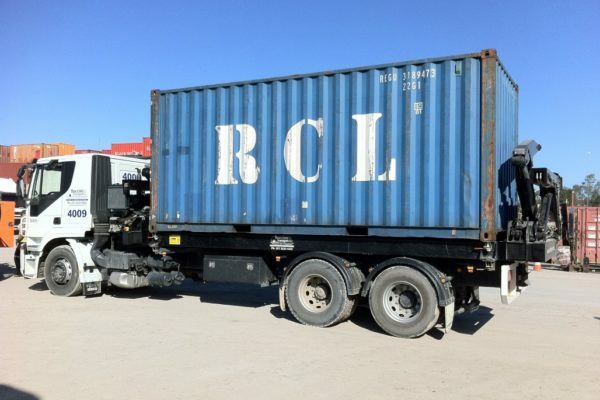 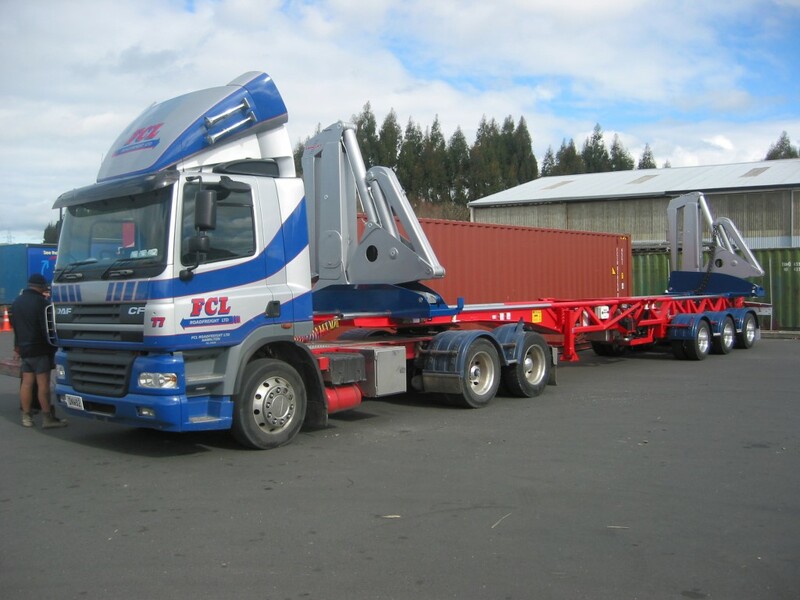 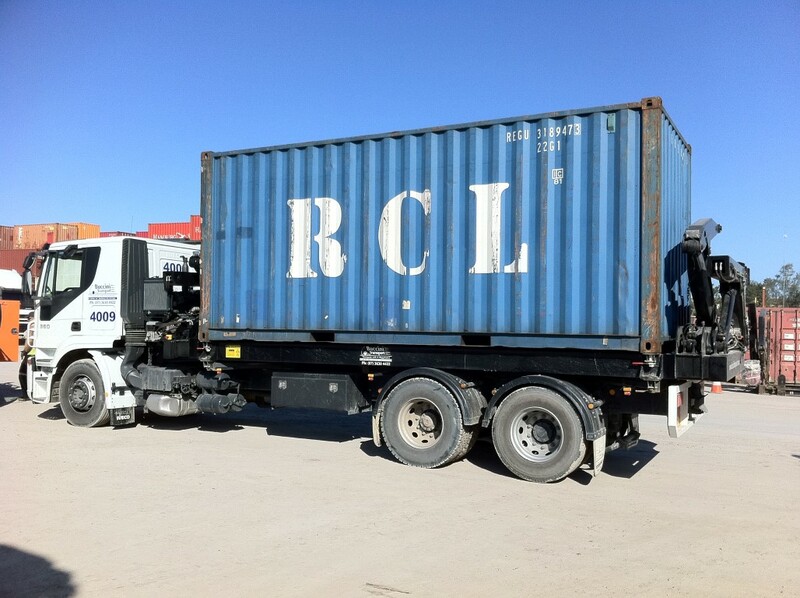 The trailer is a fixed length with the Lift modules sliding in or out to suit container length. 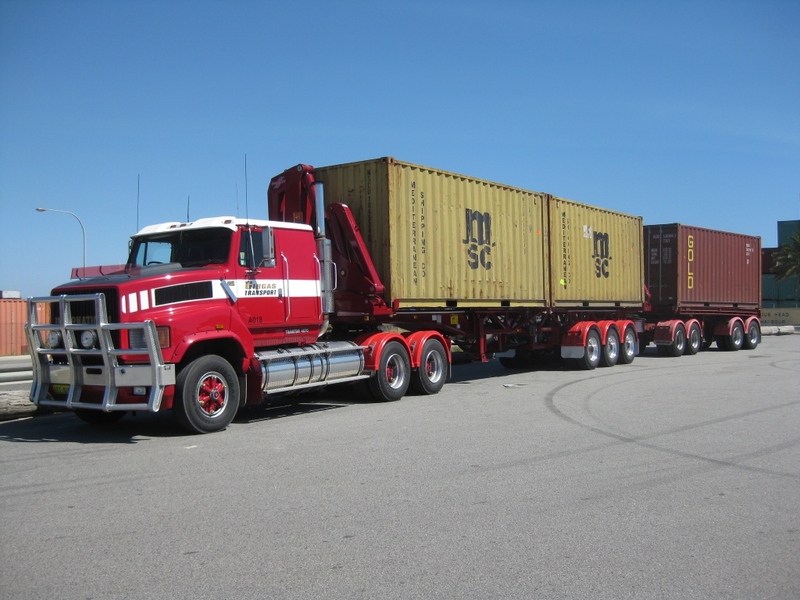 Wireless Radio Control is standard. 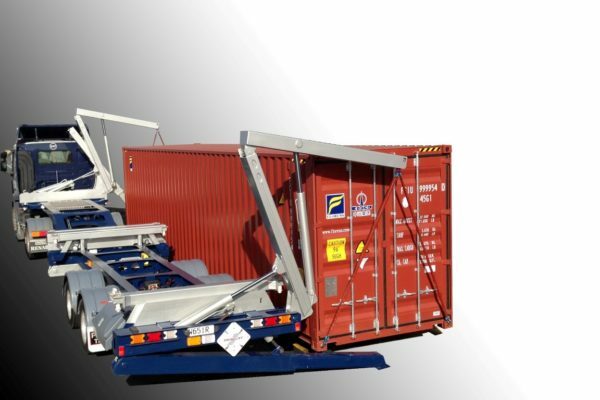 The HC4520 model has been developed for 45’ containers and is similar to the HC4020. 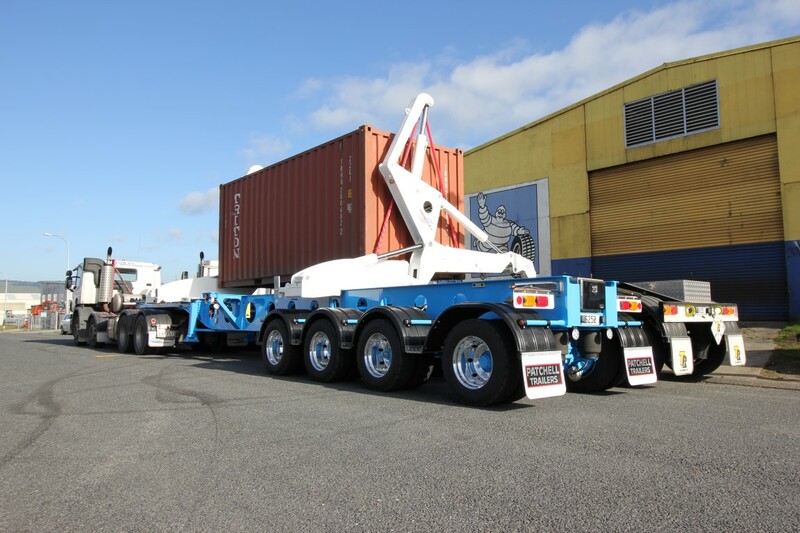 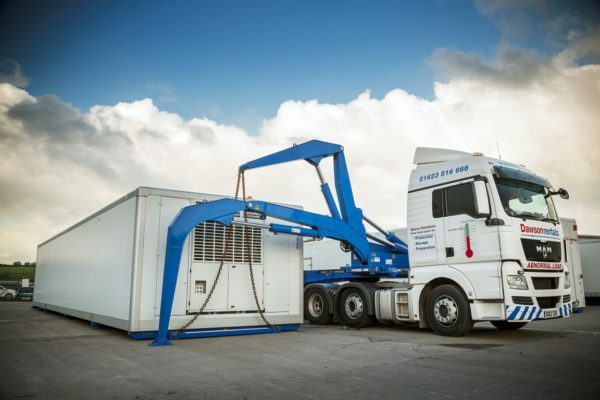 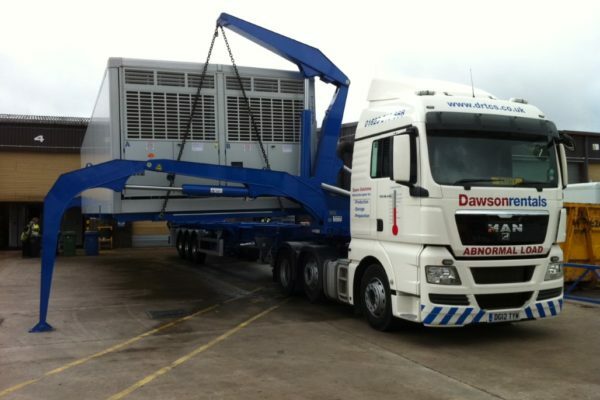 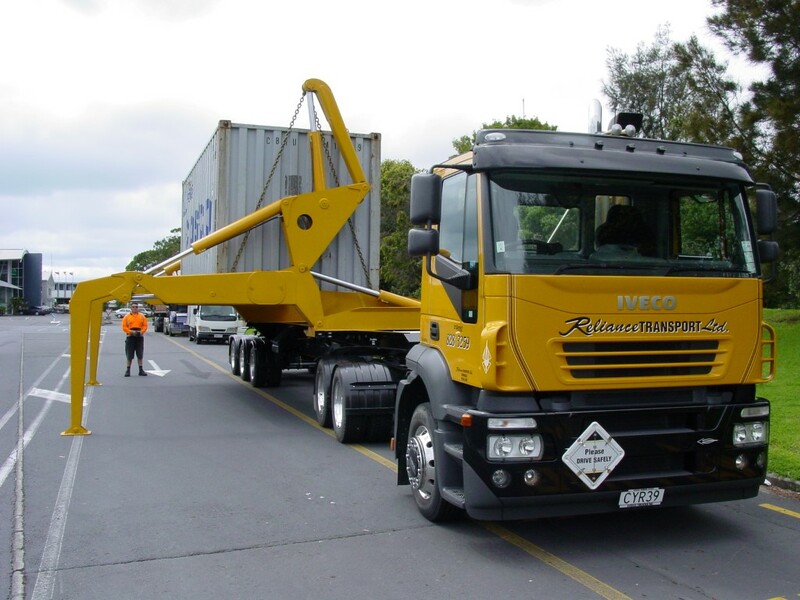 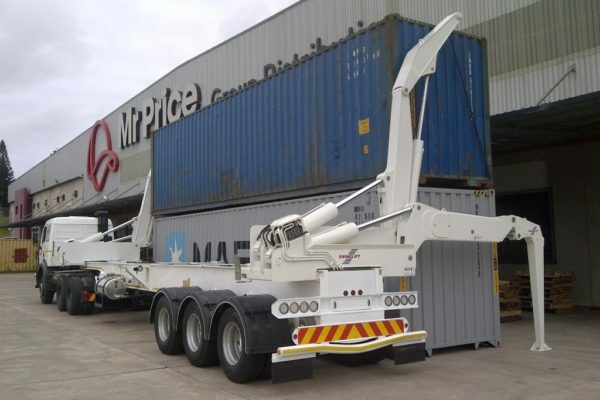 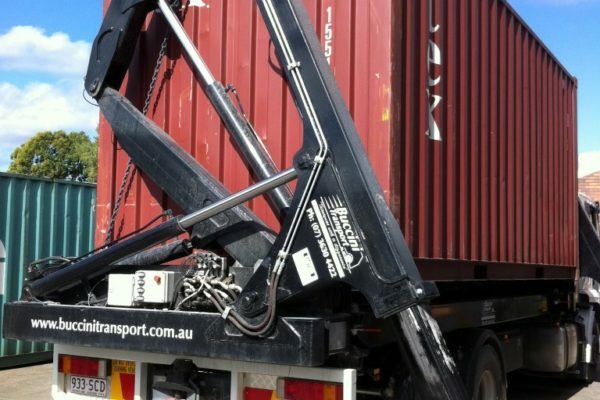 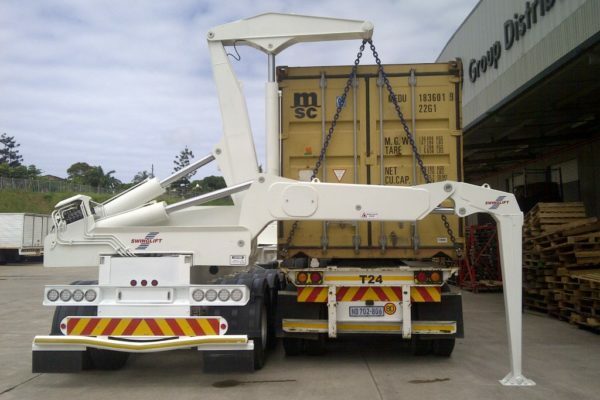 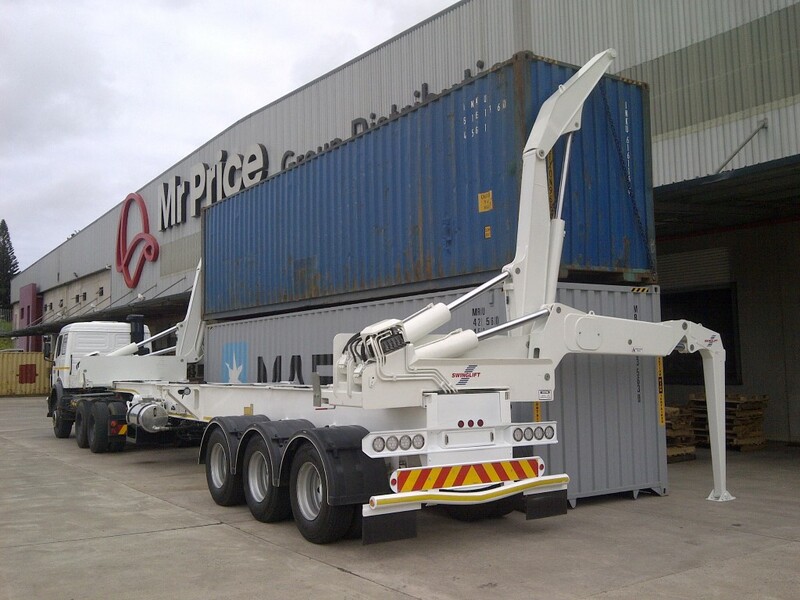 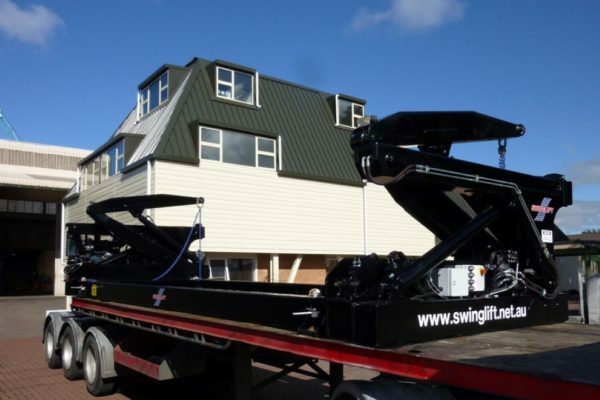 As with all our trailer mounted Swinglift side loaders, it is easy to lift another container or unload a trailer even when loaded with a container. 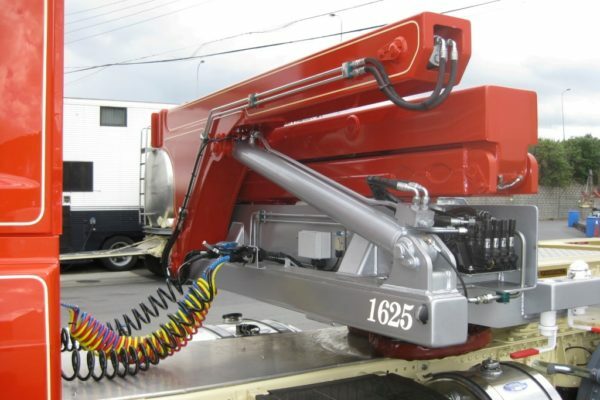 Wireless Radio Control is standard. The HC4020-DC model differs from the original HC4020 in that the stabilisers and lifting cranes are side by side rather than inline. This gives options for various stabiliser configurations. 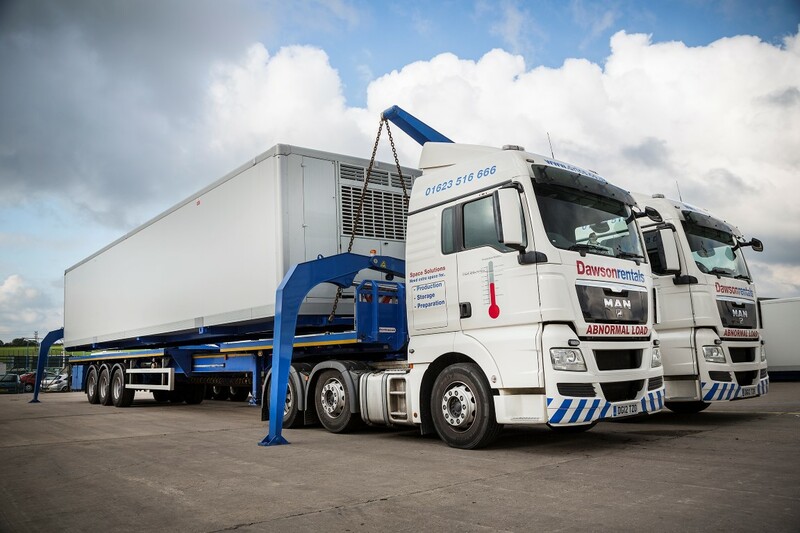 The CANbus control system allows operators to collect a huge array of data, including diagnostics and fault reporting. 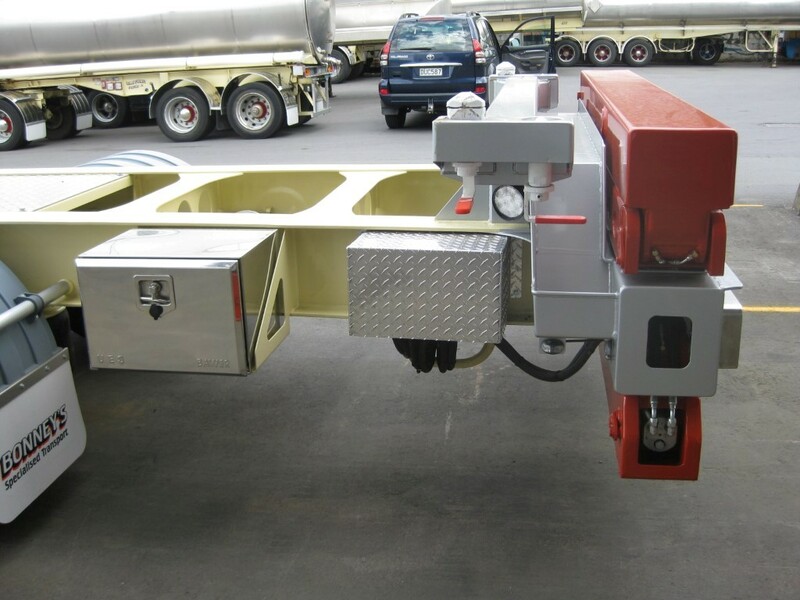 When fitted with a load cell, the container weight is displayed on the display console as well as in an optional handheld remote control. 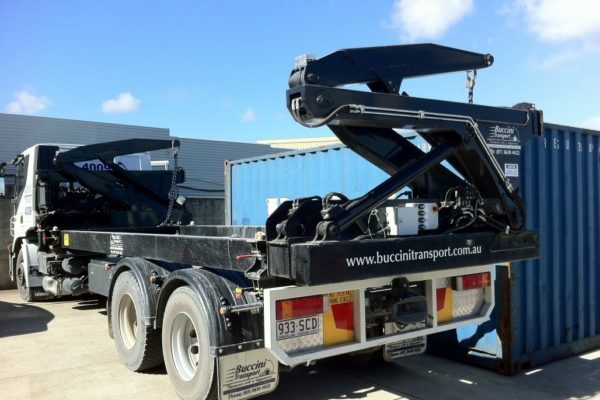 Operators can also view machine status and diagnostics, while data of interest to owners such as how and when a machine is being operated can be downloaded via USB connection. 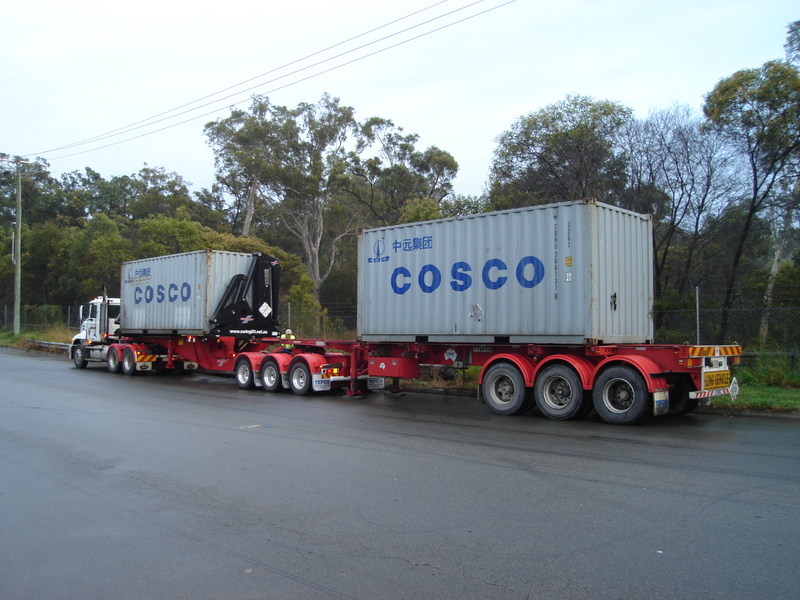 Fully proportional pressure compensated control valves give infinite travel speed variation. 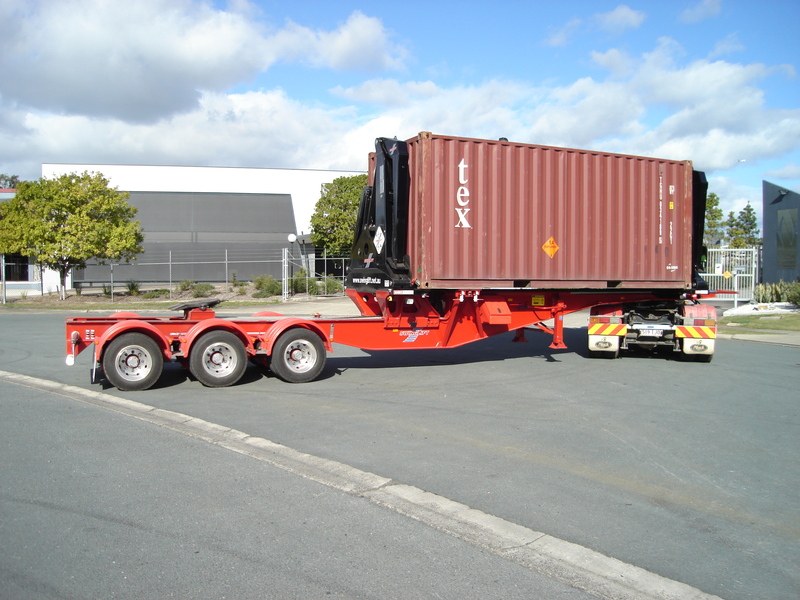 The trailer is a fixed length with the Lift modules sliding in or out to suit container length Wireless Joystick or handheld Radio Control is standard. 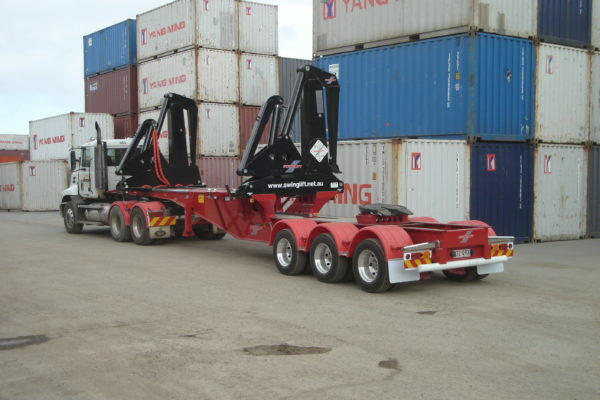 Featuring a Dagger leg stabiliser. 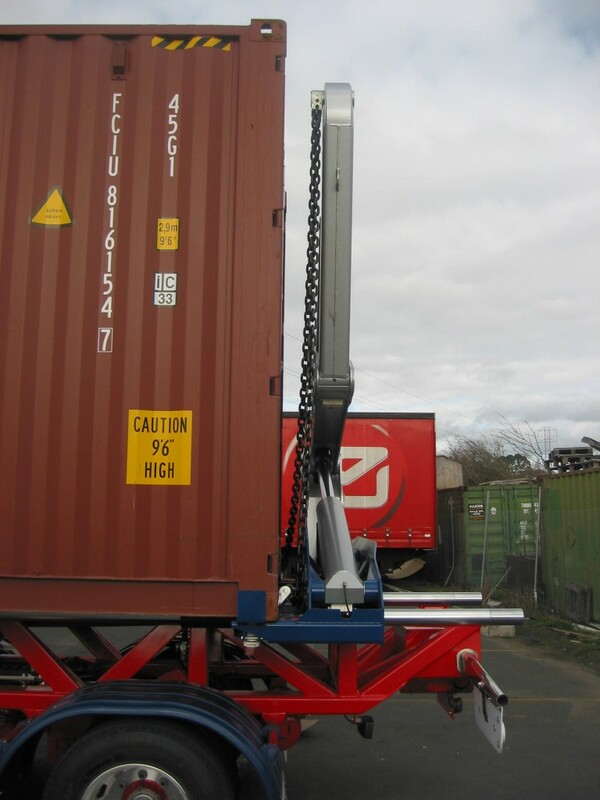 The Dagger leg allows close placement of containers to each other. 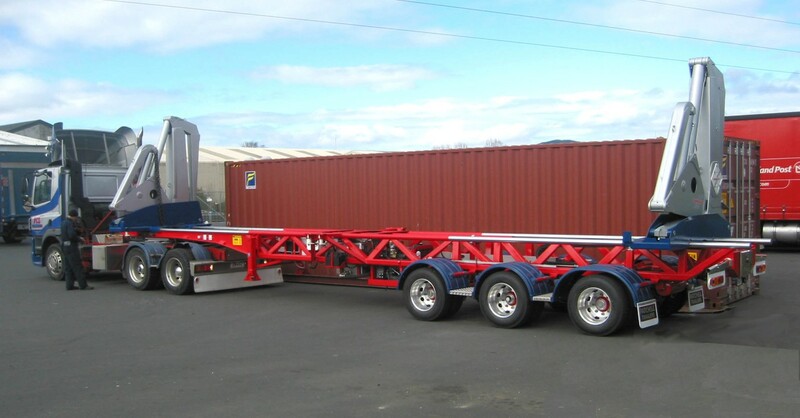 For the transport operator who requires exceptional stability with the wide outreach of the unique “Leg-Over®” design stabiliser legs and flexibility of a dual carriage layout. 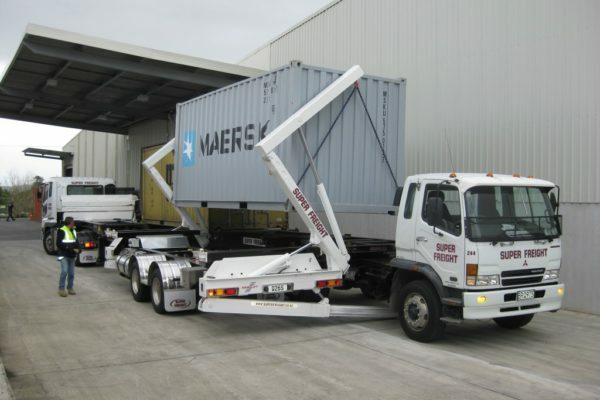 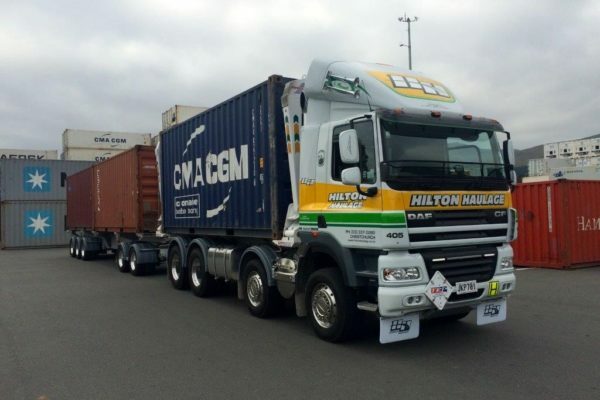 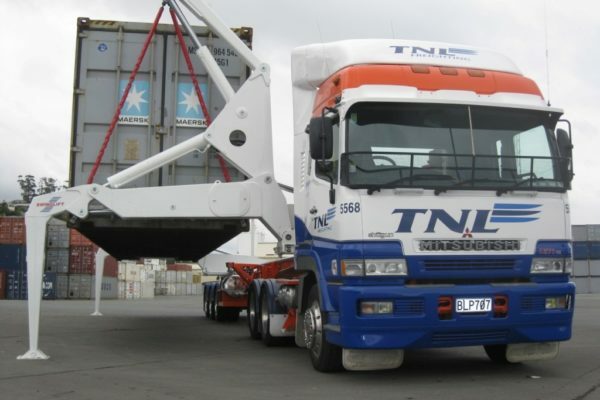 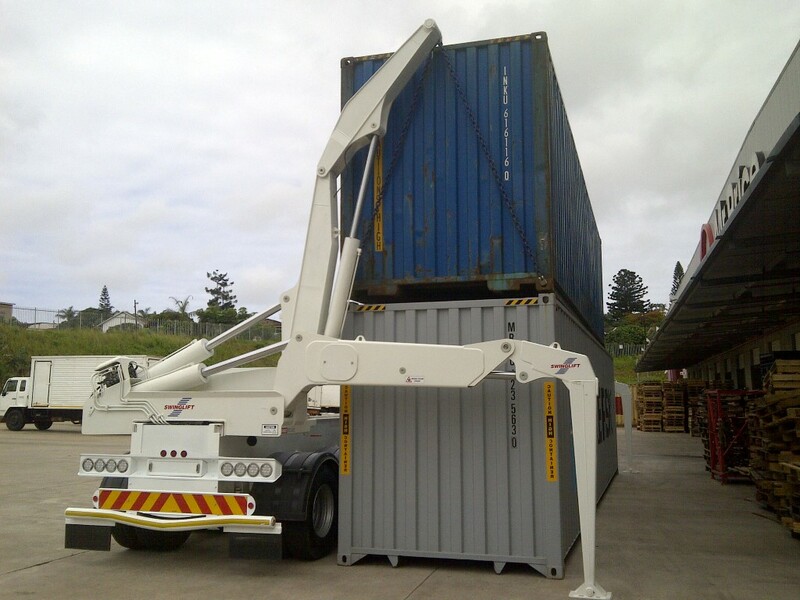 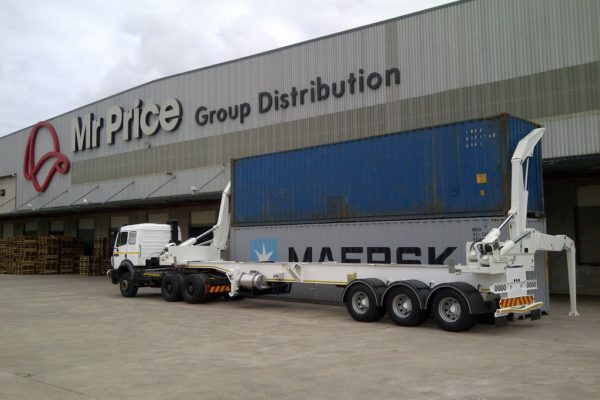 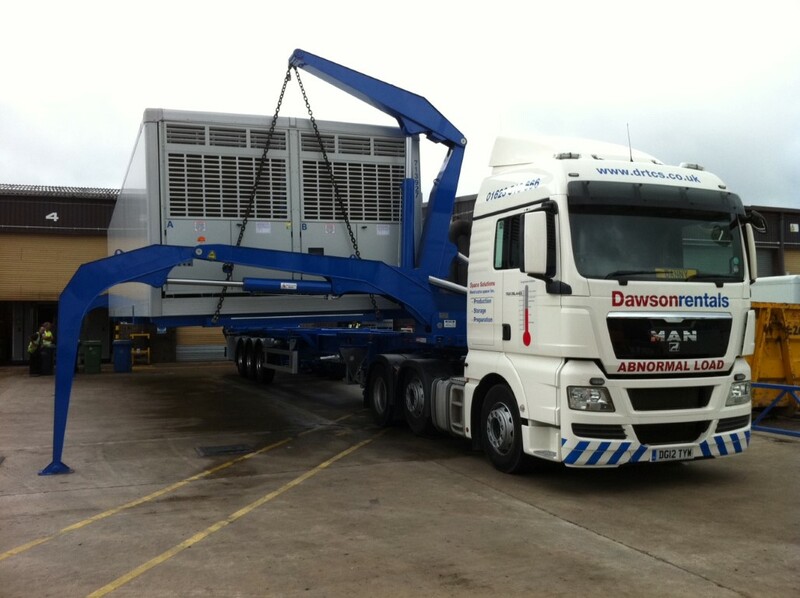 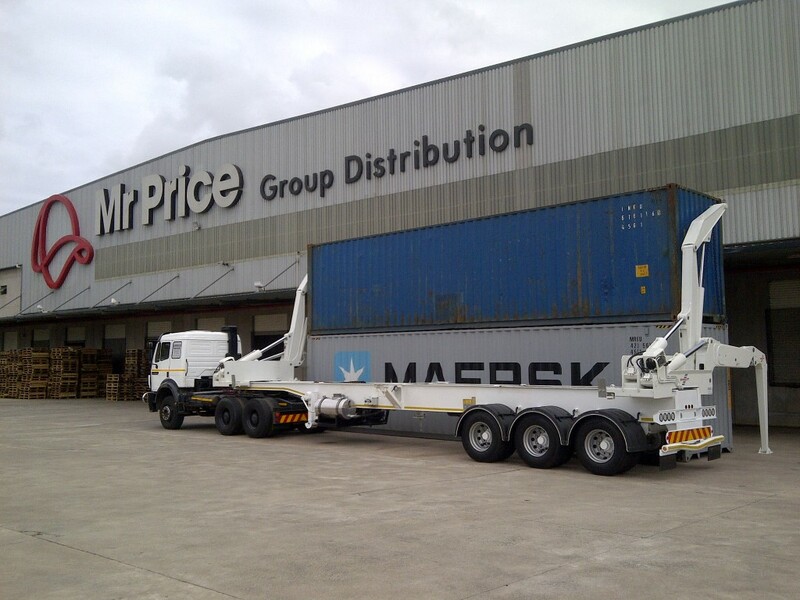 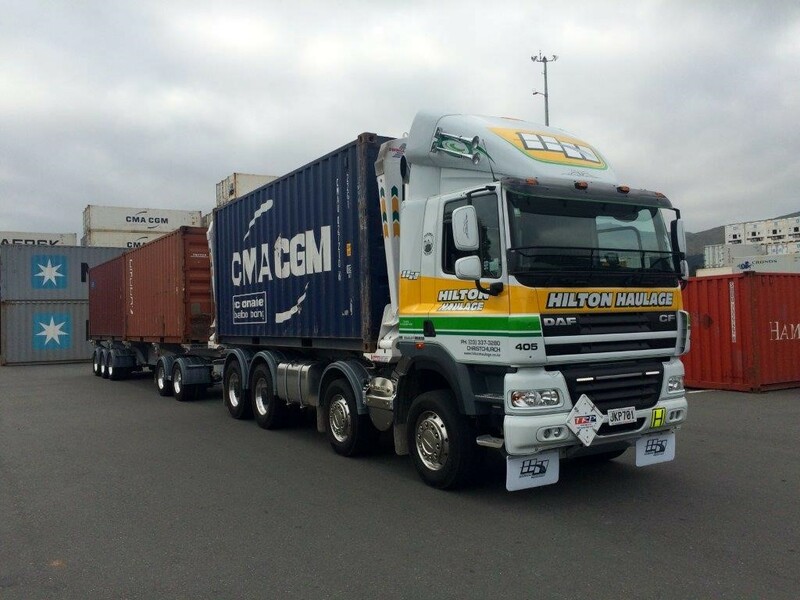 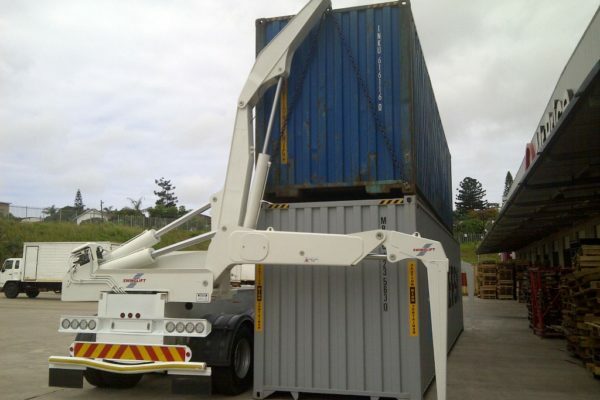 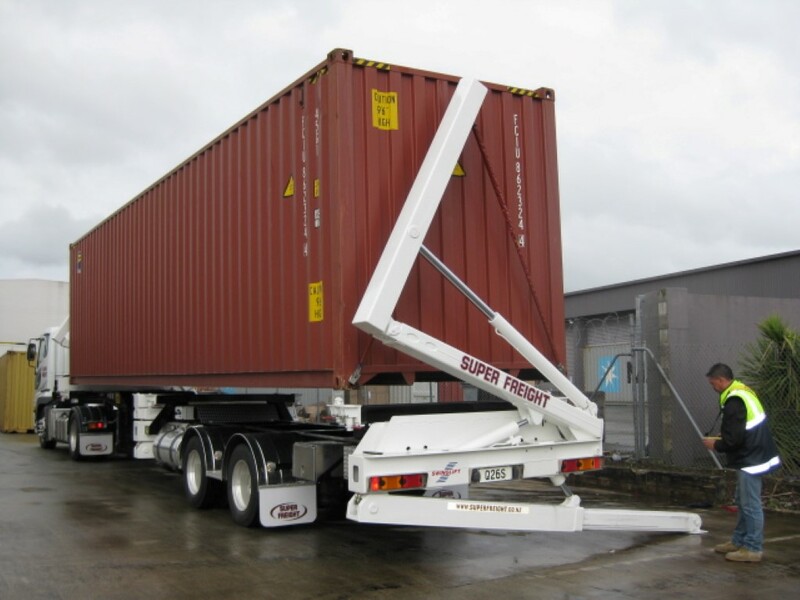 Designed for transport companies that have a requirement for double stacking of heavy containers up to 35 Tonne. 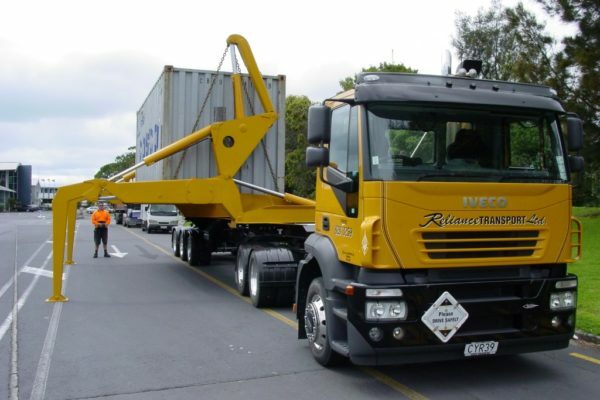 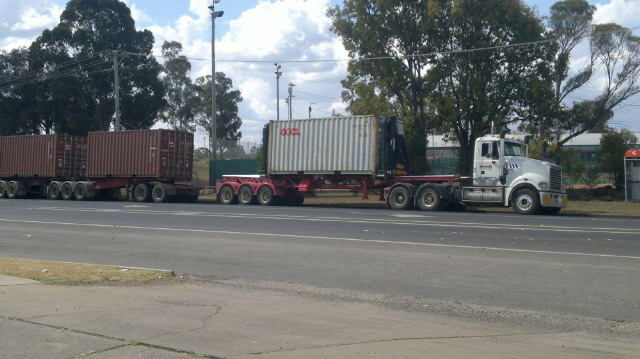 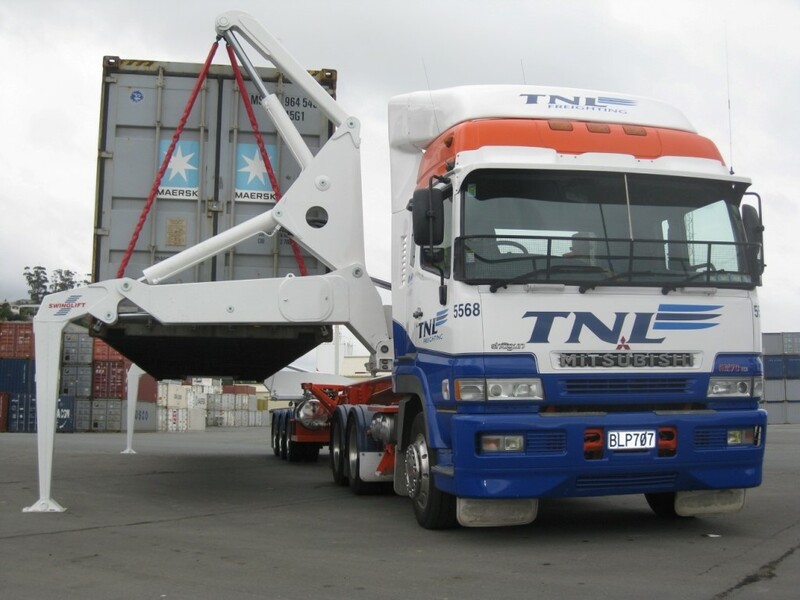 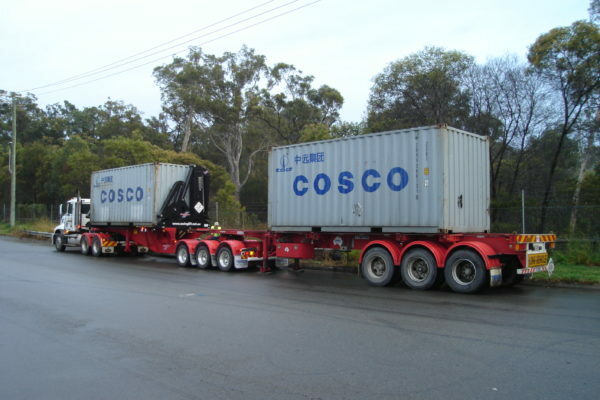 Not all container movements are of heavy or fully loaded containers. 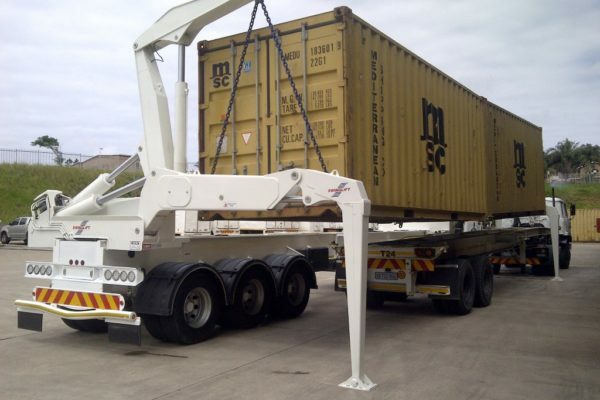 We offer a range of container handling products to meet the needs of the transport operator who does not want to utilise their full load container side loaders for these light loads. 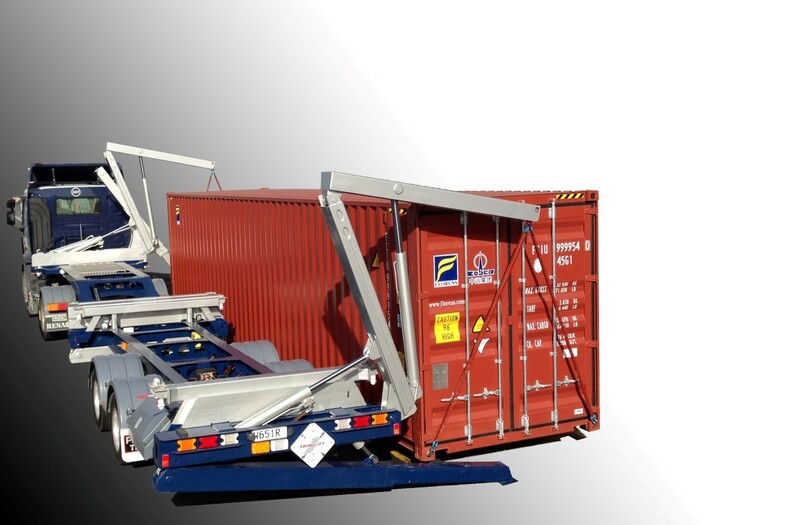 Greater efficiencies with less cost. 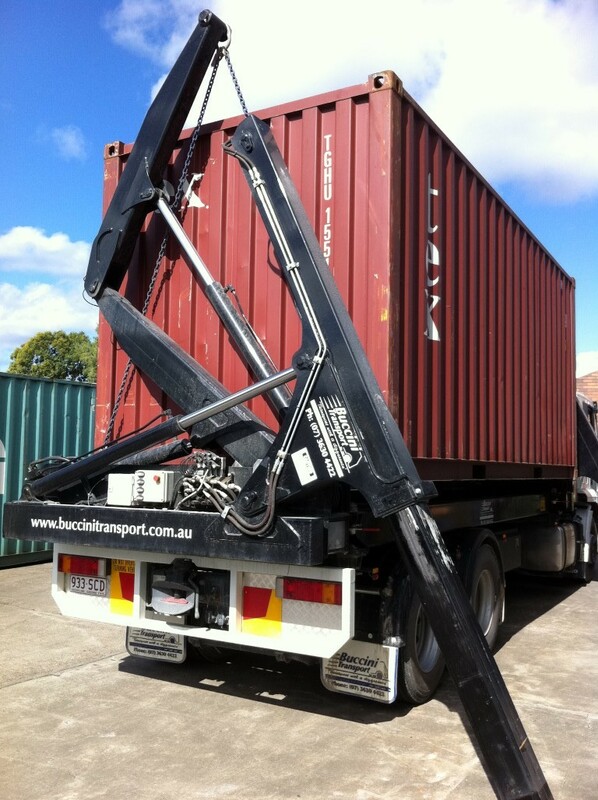 The 2SM-2SMSL-24 is a versatile 3-arm Swinglift side loader with a 12 Tonne lift capacity incorporating features that make it the right choice for businesses that want the flexibility of a side loader for lifting and carrying 20’ or 40‘ empty or lightly laden containers that could be filled with goods such as household furniture or perhaps even a car? 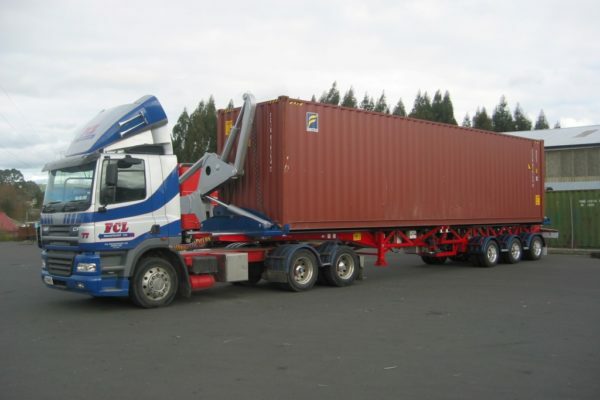 Wireless Radio Control is standard or optional Joystick remote control. 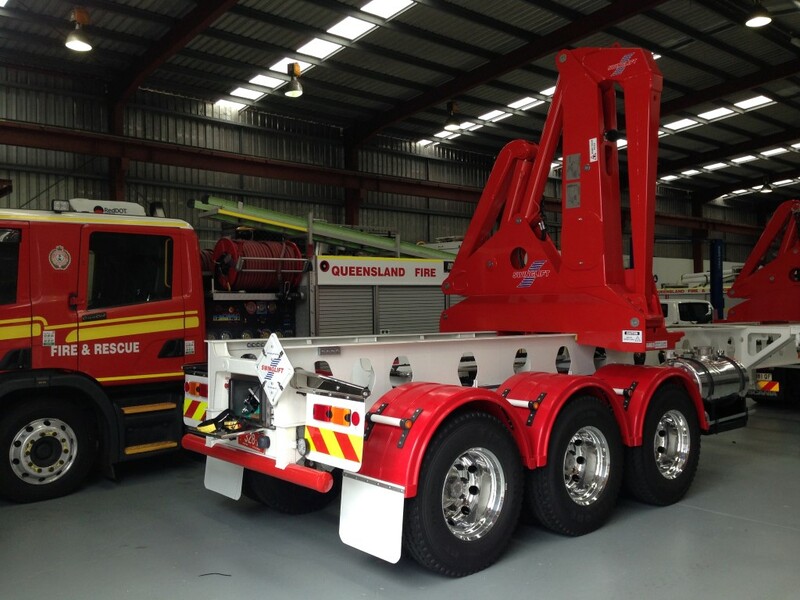 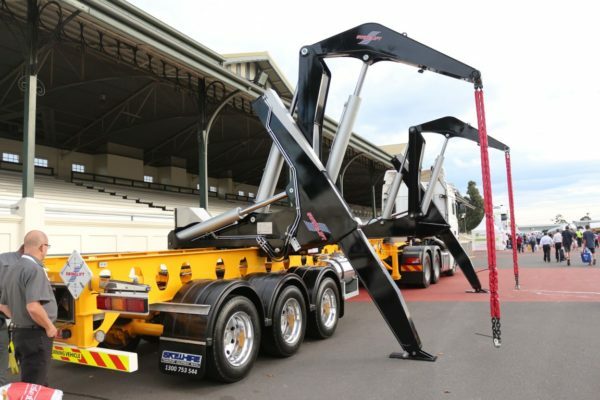 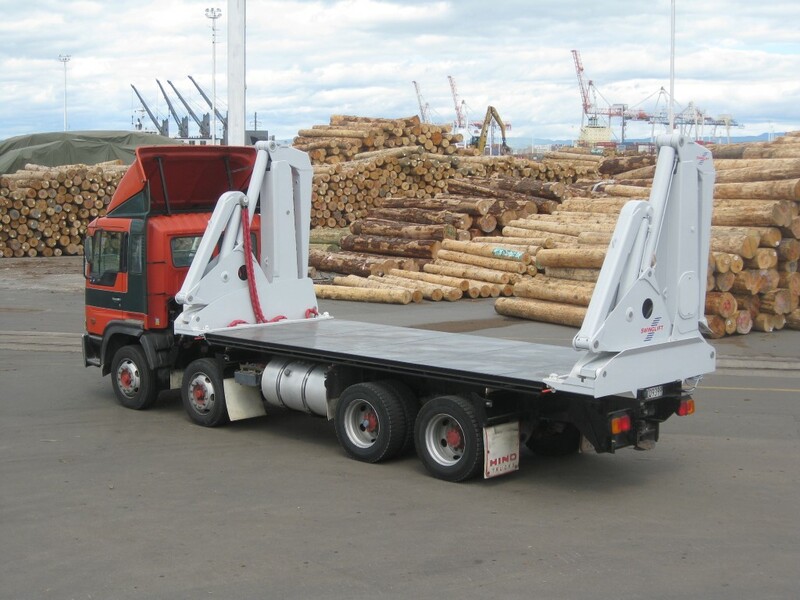 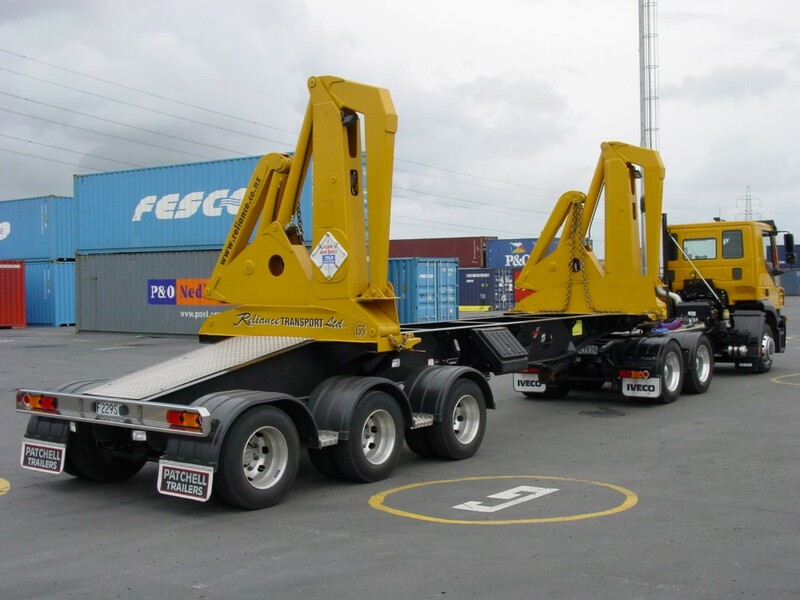 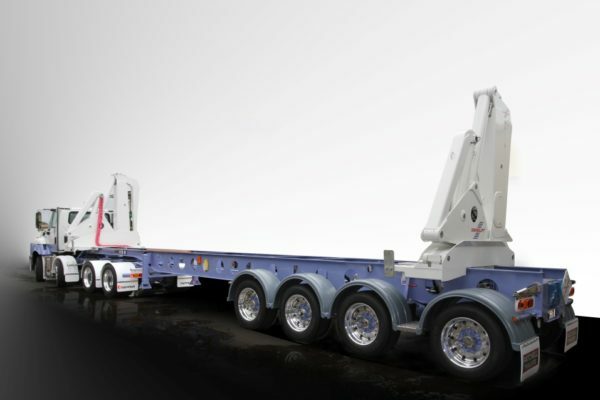 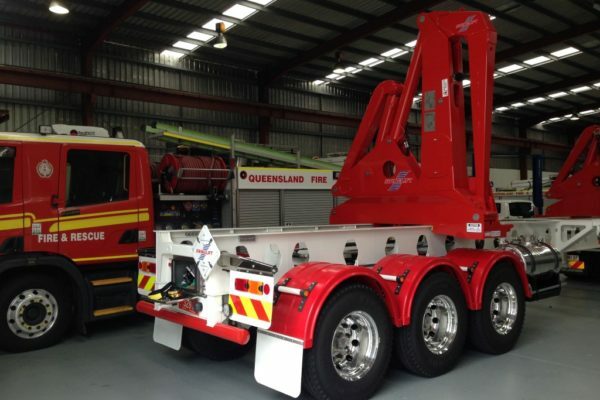 The SL20 can be truck mounted or supplied as a demountable unit that is easily fixed to any truck chassis or trailer with mountings to suit any standard 20’ ISO twistlock centers allowing the use of the Minilift on a wide range of equipment. 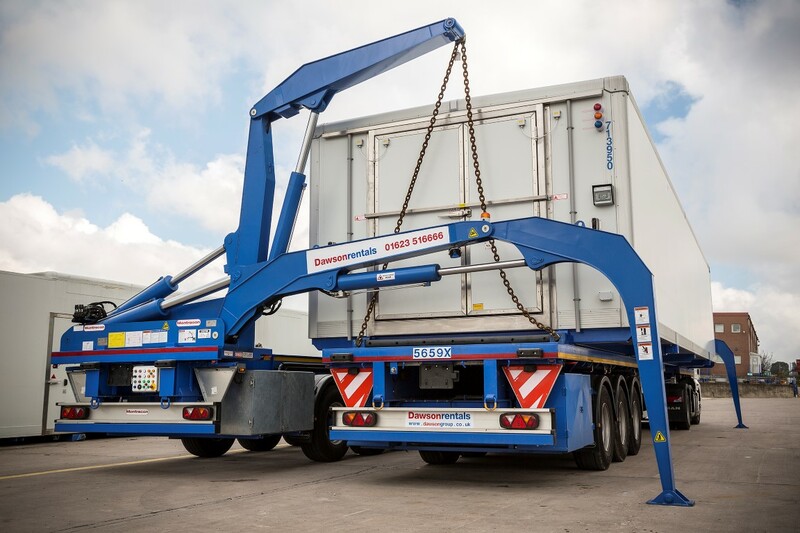 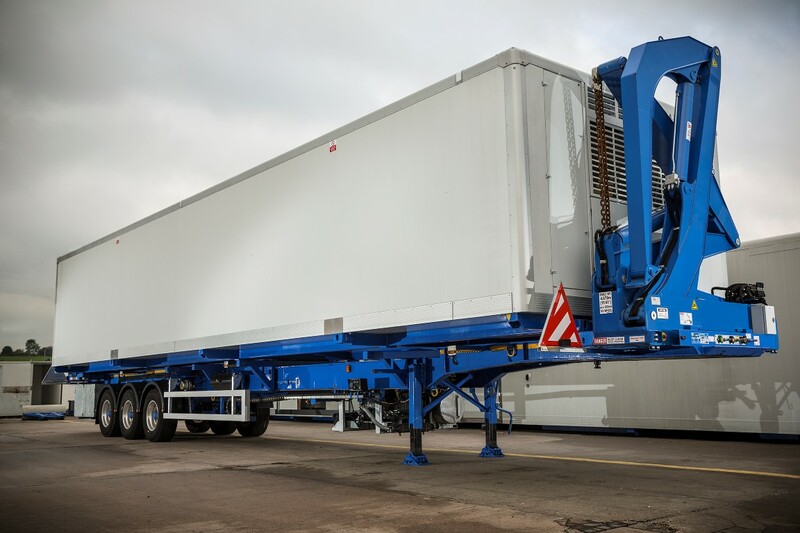 For transport operators that do not need the flexibility of sliding lift modules, there are savings to be gained in choosing a side loader dedicated to either 20’ or 40’ containers only. 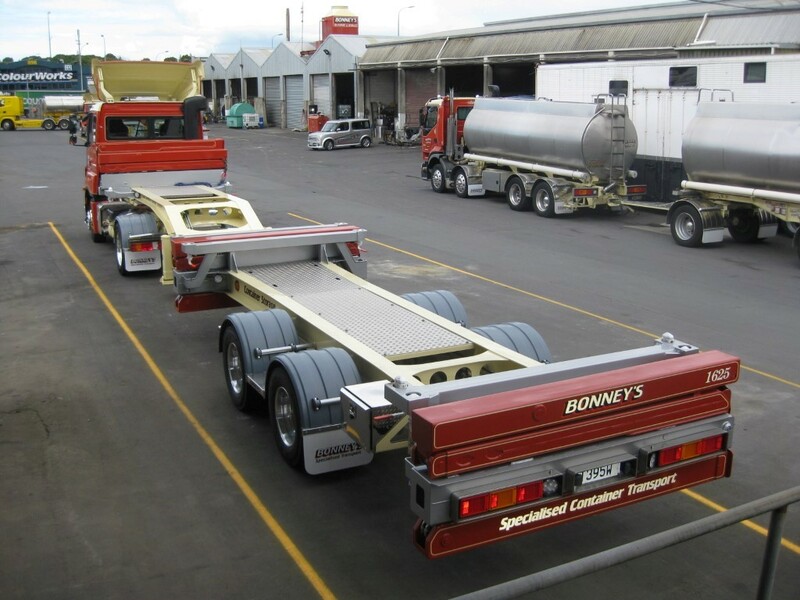 Fixed trailer length. 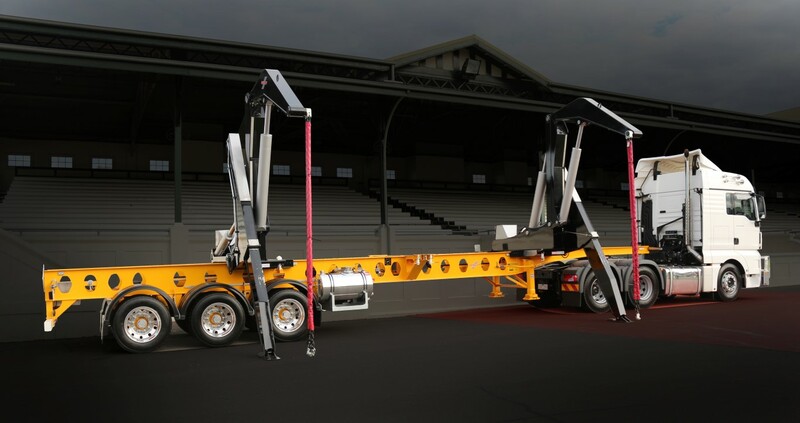 Fixed lift modules for 20’ position only. Carry mid weight containers on the truck (dependent on truck chassis GVM). 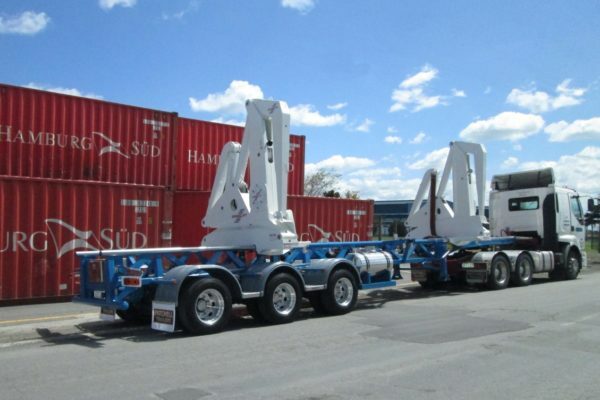 Fixed lift modules for 20’ position only. 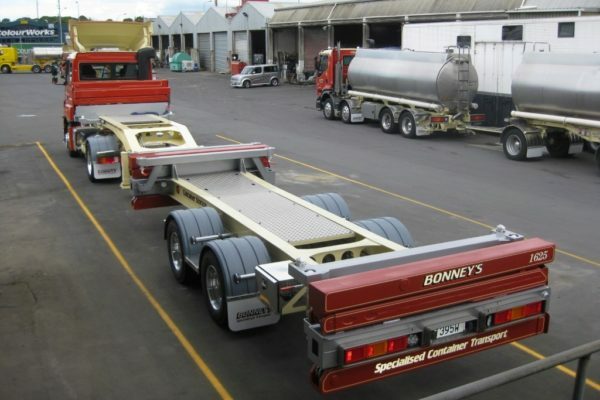 Fixed trailer length. 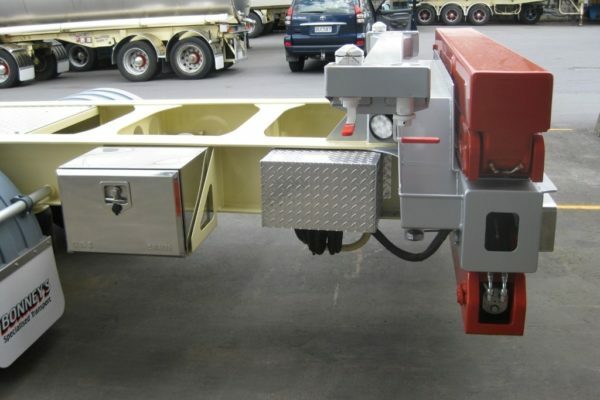 Fixed lift modules for 40’ position only. 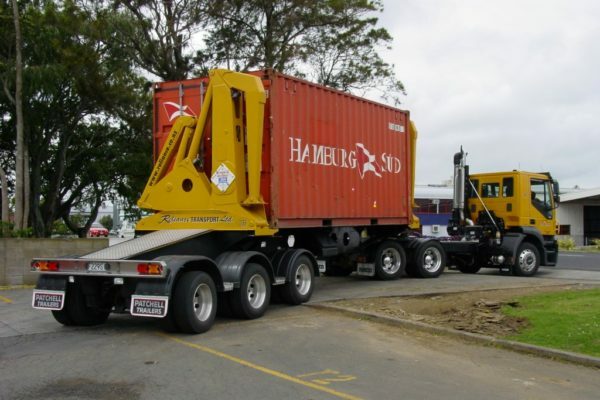 Optimised for maximum payload. 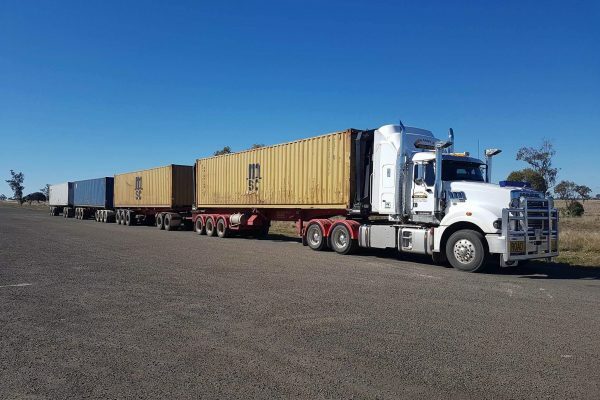 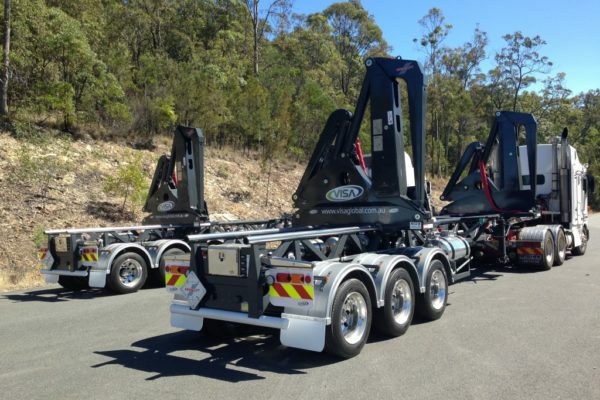 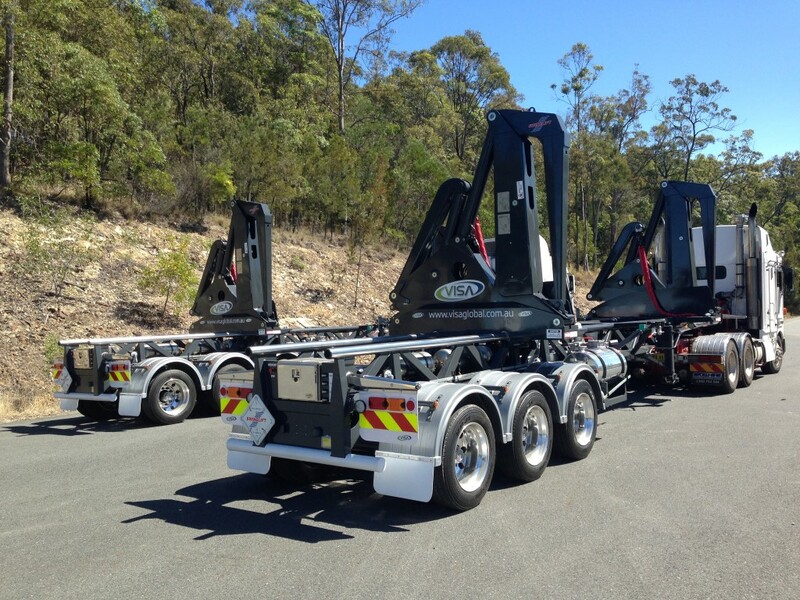 Swinglift “A” double “B” Double and Road Train side loaders give our customers the flexibility and efficiency to carry more than one container per trip. 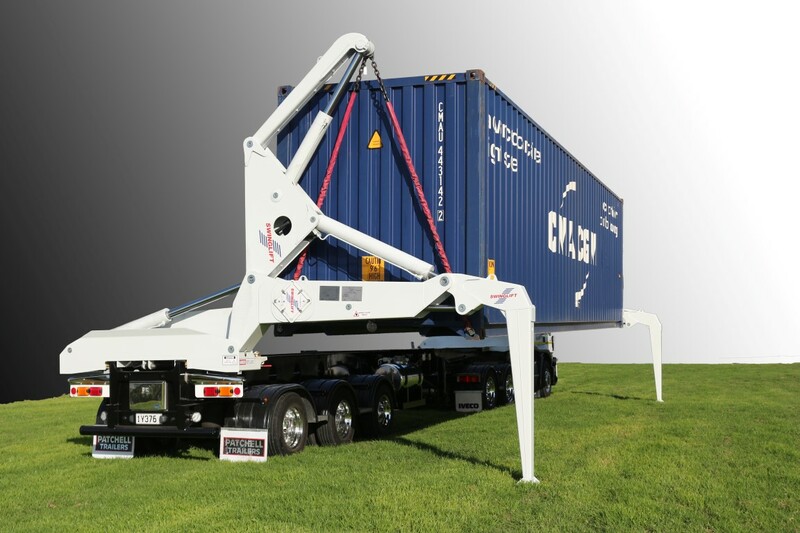 The HC4020-BD allows you to carry a 20’ container on your B Double configured Swinglift while towing 2 x 20’ or 1 x 40’ containers. 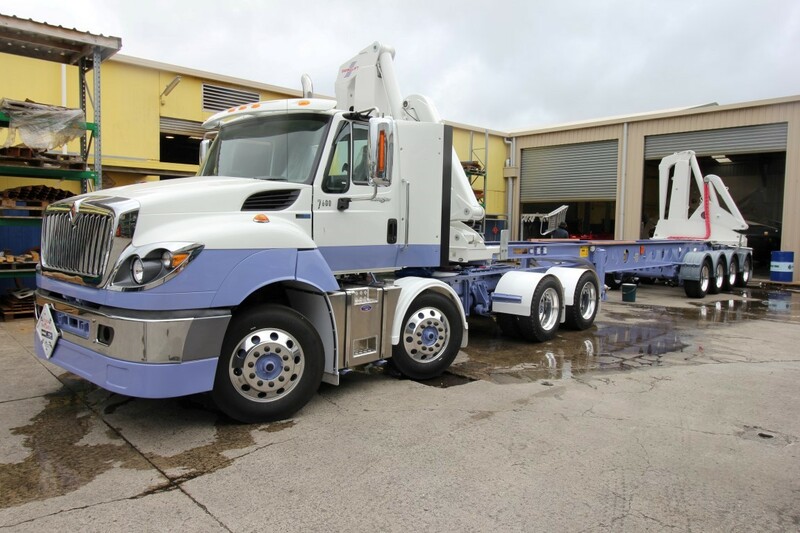 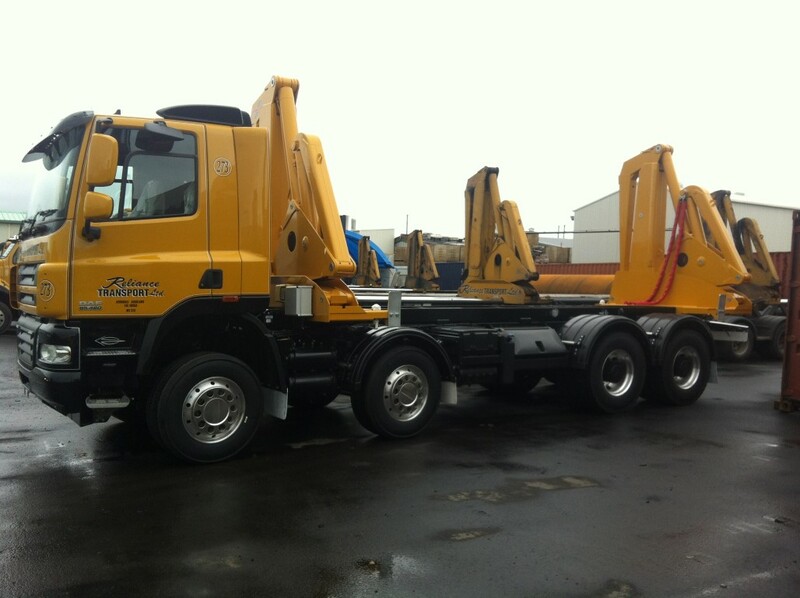 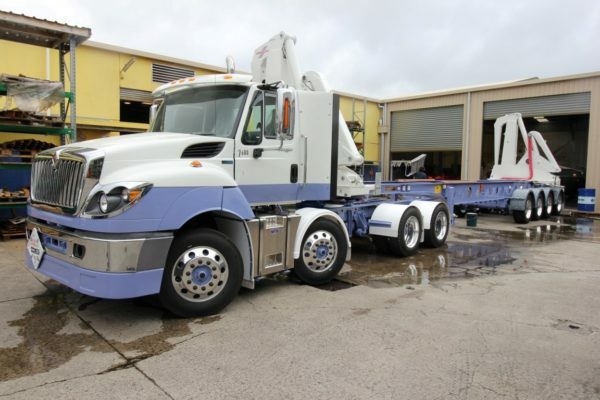 The HC4020-BD is set up for a B-Double configuration with a fifth wheel at the rear of the semi-trailer. 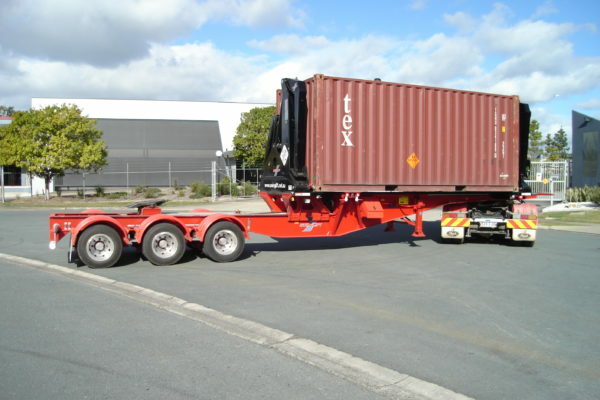 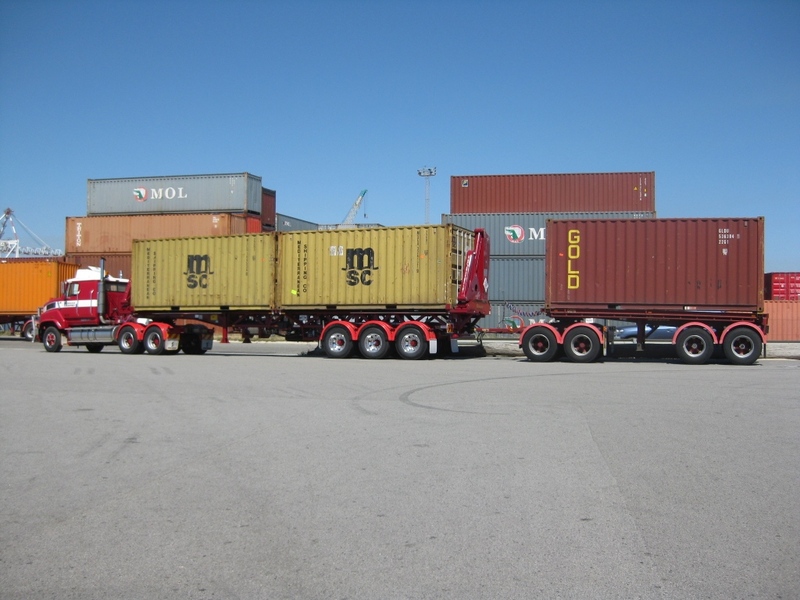 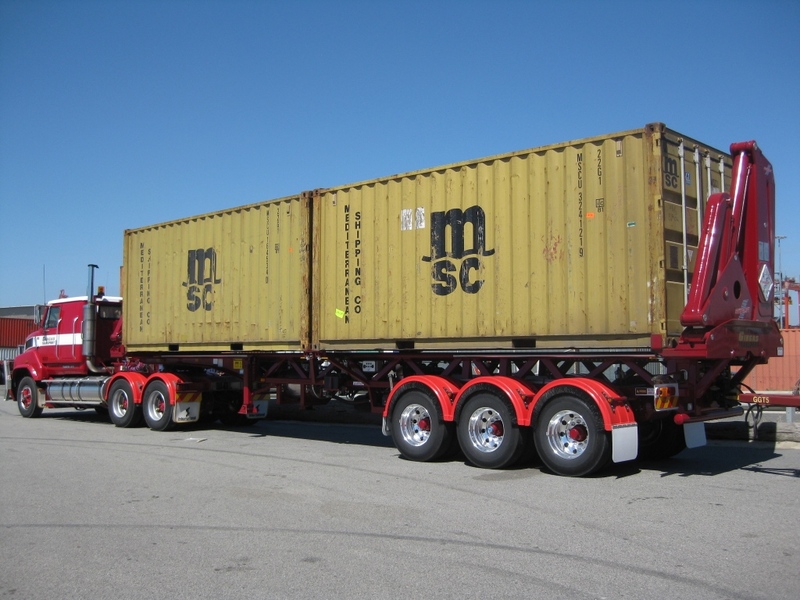 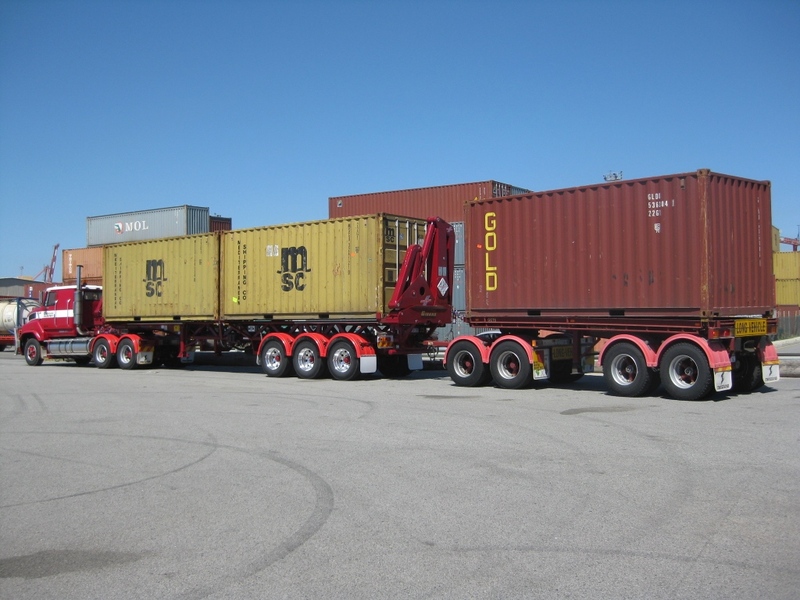 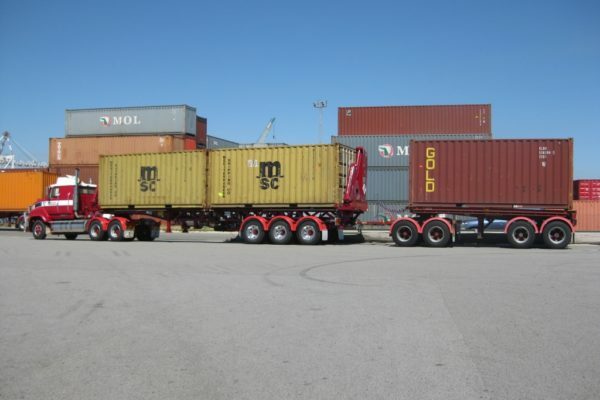 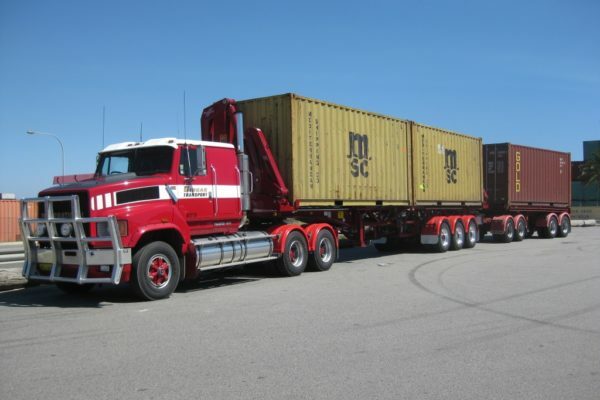 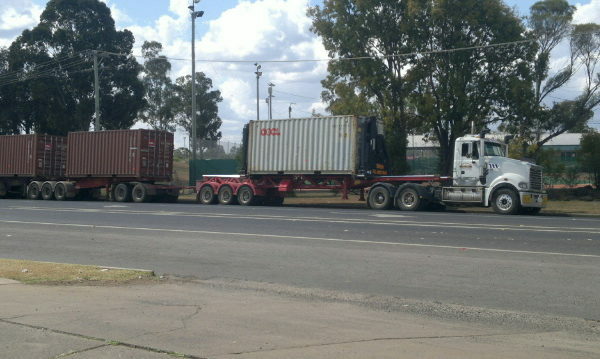 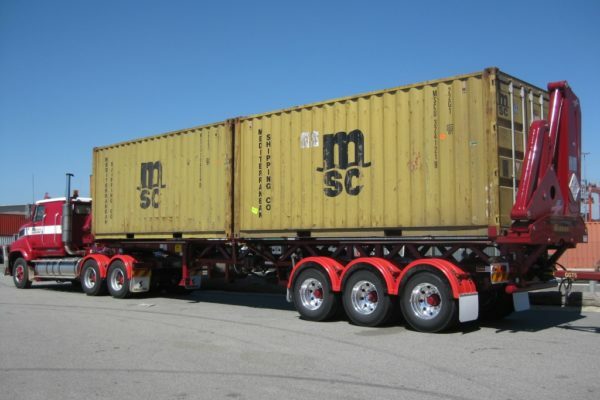 Two positions for carrying 20’ containers (centre or forward) or a 40’ container. Wireless Radio Control is standard. 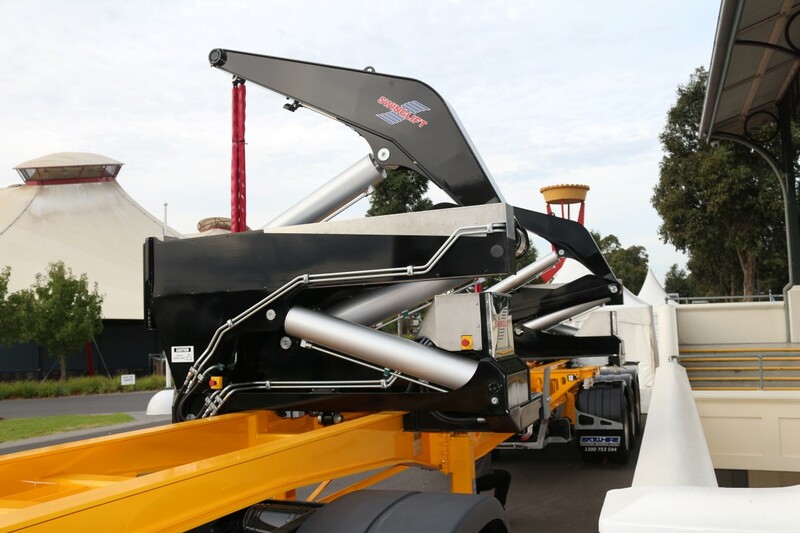 The HC4020-RT has a Ringfeder tow coupling for Road Train configurations. 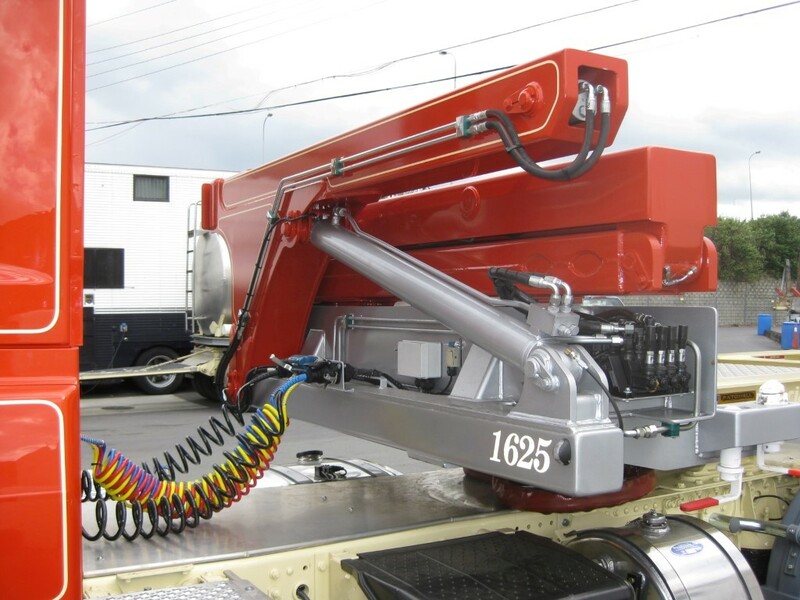 Wireless Radio Control is standard. 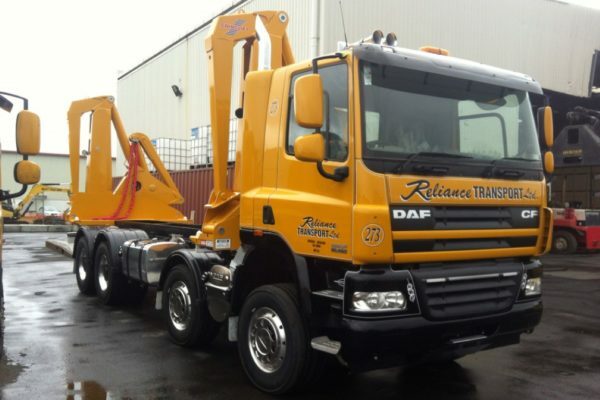 Swinglift® recognises that “one size does not fit all” and will work with our customers to provide tailored solutions, such as the Megareach side loader for a UK based customer. 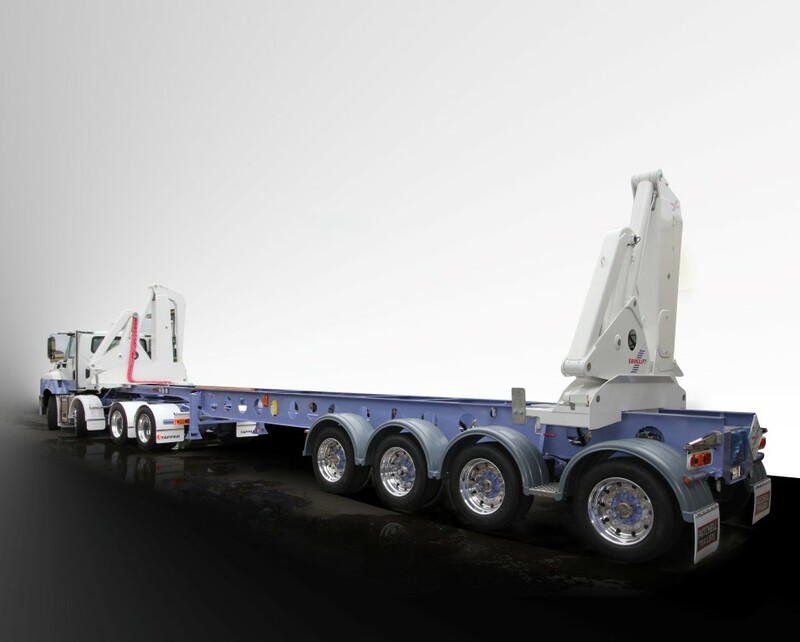 When you need extra wide outreach and the ability to double stack, this is the Swinglift side loader that will outreach any other model.